The assassination of Osama Bin Laden, whether true or staged, is part of the US big plan to turn radical Islam from its greatest enemy to a close ally and tool, believes General Vladimir Ovchinsky, former head of Interpol’s Russian bureau. ­The general, who has dealt with the fight against terrorism for many years, spoke to the Russian newspaper Komsomolskaya Pravda about the high-profile death and its long-term consequences. Komsomolskaya Pravda: Mr. Ovchinsky, the world continues actively to discuss the main piece of news this spring, if not this year, which is the elimination of the sinister terrorist No 1. What do you think is the most important part out of the avalanche of news, theories and forecasts, which are often mutually exclusive? Vladimir Ovchinsky: Along with the excited comments about Bin Laden’s death, there have been quite a number of publications in the world media expressing great skepticism about the US authorities’ announcement regarding his liquidation. May 6 saw the explosion of a political nuclear bomb in the information space, which could radically change the situation not just in Washington, but also around the globe. One of the best-informed and most high-ranking analysts of the United States, an expert on psychological warfare and fight against terrorism, former head of the planning department of the US State Department, who was in office during the rule of several presidents, incumbent consultant of the Defense Ministry Dr. Steve. R. Pieczenik made two sensational statements in his interview to the popular Alex Jones radio and internet show. First, he said that Bin Laden had died a natural death back in 2001. Moreover, he stated this for the second time already, having already made that statement in 2002 (by the way, Iranian Intelligence Minister Heydar Moslehi has recently said the same). And second, he clearly explained to the public that the 9/11 terrorist attack had been staged by American special services. This kind of statement and a possible reaction to it may plunge the United States into a political crisis. At any rate, it is a serious blow to the problem-solving model developed by Obama to deal with the most critical strategic issues. ­VO: Obama’s statement on the ‘liquidation’ of Bin Laden, who was named responsible for the 9/11 attack, has been met with excitement by a part of the US elite, both Democratic and Republican. It looked like a certain consensus had been reached in terms of covering up what happened ten years ago, the events that have in many respects determined the US foreign policy. KP: They have drowned Bin Laden or a person who looked alike, as if “it will be all right on the night”! VO: But Pieczenik has destroyed this consensus. He voiced the names of those who, according to an American general, orchestrated the 9/11 attack in the US. Pieczenik declared that he’s ready to testify on the issue before a grand jury. The charges are most serious! And it’s unclear how they are going to fix the scandal around 9/11 this time. Will they declare Pieczenik insane? Or will he die suddenly? Or will they make him eat his words? KP: He “knocked off” both the Democrats and the Republicans at once. Interesting move. VO: The reaction will depend on what kind of forces are behind this champion of truth. It’s hard to believe that Pieczenik acts on his own. Taking into account his life experience and his intimate circle during his term in office in the White House, including Henry Kissinger, Cyrus Vance, George Schultz and James Baker. Washington has to fix the situation somehow. 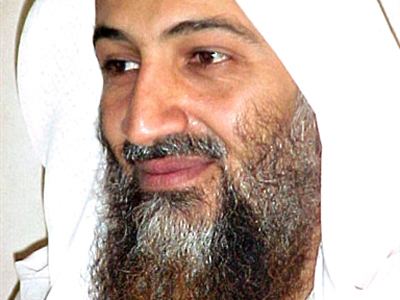 We haven’t seen any investigation after last year’s publication on the popular American website Prison Planet released on May 25, 2010 with the sensational title “Former CIA Officers Confessed Having Forged a Video with Bin Laden.” Meanwhile, the article described it in detail how the main piece of evidence against Bin Laden about his involvement in 9/11 events – the footage where he spoke on how the terrorist attack had been organized – had been fabricated. KP: What’s your personal take on what happened to Osama and on who exploded the twin towers? 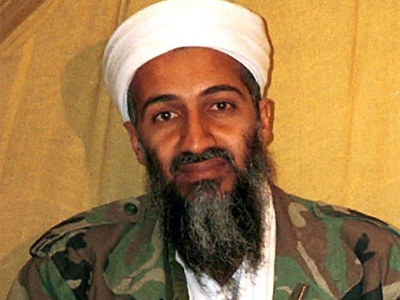 VO: Bin Laden is definitely dead. It makes no difference how he died: in reality or virtually. If Osama suddenly returned to life, Obama would immediately face impeachment. It would appear that the president had lied to the Americans. Obama would never take such risks. I repeat, Bin Laden is dead. When did he die? I think this will remain a mystery, just like John Kennedy’s assassination. A similar mystery surrounds the attack of September 11, 2001. Quite a big amount of evidence has been gathered proving Bin Laden has nothing to do with it. 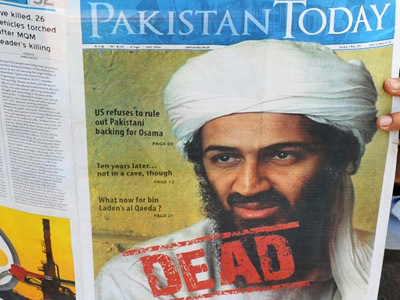 After Bin Laden was “killed”, several websites in the US promptly re-published his interview with a Pakistani newspaper. The interview is dated September 28, 2001, and Osama strongly denies his involvement in the 9/11 attack in it. This confirms the version put forward by former CIA agents that all the videos of “Bin Laden’s speeches” were fakes. KP: This is curious. The media kept throwing the scare at us that the terrorists would stage a series of retaliation strikes across the world to avenge bin Laden. Two weeks have passed since he was killed and yet nothing is happening. Does this mean Bin Laden is long since gone? VO: They were right to scare us, or rather to warn us. Regardless of whether Bin Laden was killed two weeks ago or has been dead for some time, radical Islamic groups’ response to Obama’s statement on his elimination could be very harsh. Osama’s death doesn’t mean the global terrorism problem has been resolved. We have to stay vigilant. KP: Let us go back to Pieczenik. You said he made his statement on May 6. Why has there been no reaction to it? Why hasn’t this information bombshell exploded? VO: US information warfare experts have made a smart move. 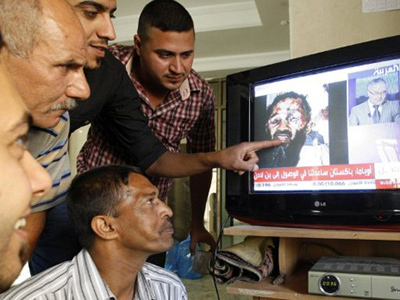 They used the Voice of America website to spread several versions that denied Bin Laden’s elimination on May 1, 2011. Among others, they dispelled Pieczenik’s version. The truth is hard to see in the huge stream of misleading information. That is their way of keeping the situation under control. ­Strike while the iron’s hot! ­VO: Osama’s “elimination” will enable Obama to work on solving more urgent problems such as the upcoming withdrawal of US forces from Afghanistan. They have to withdraw the troops as Obama’s pre-election rating depends on it. Besides, he spoke about reconciliation with Islam in his Cairo speech, introducing a new vector of US foreign policy. KP: To create a dangerous global “axis” of Islam that the US can use against its biggest competitor, China, or India. It could be used against Russia too. VO: With the ongoing “Arab revolutions”, the US has extended that friendship to groups that were formerly considered extremist. This is where the recent statements by CIA seniors in congress about the Muslim Brotherhood being a moderate Islamic group are coming from. The US went even further in the war with Gaddafi, allying itself with members of Al-Qaeda. In a situation like this, the existence of a “living” Bin Laden as Al-Qaeda’s symbol would undermine the whole “new” ideology fabricated in the White House. 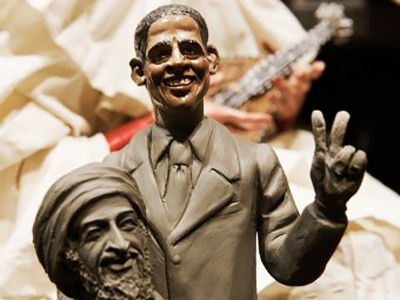 With Osama dead, nothing stands in the way of the US co-operating with a “moderate” and “renewed” Al-Qaeda. This may turn out to be very beneficial for the US. KP: Mr. Ovchinsky, what did Gaddafi do that the west suddenly turned against him? Was it because he started resisting them? Other “friends of the West” – Ben Ali in Tunisia and Mubarak in Egypt – didn’t last very long. They surrendered their power without military interference from the US. Gaddafi has been resisting NATO for three months now. VO: Policy in the Middle East and North Africa is being redefined. They no longer need Gaddafi, or any other “dictator”. New plans bring new friends. Obama has solved his biggest problem by eliminating Bin Laden. It is directly connected with the upcoming US presidential elections. The economic situation in the US is clearly not in Obama’s favor (a huge national debt, an actual risk of the economy defaulting, etc.). The only choice he is left with is to pull the trump card out of his sleeve. Kill Bin Laden. And it worked! His ratings are soaring! KP: I see. What could all this mean for Russia? VO: Nothing good, I’m afraid. The situation with terrorism in our country is disturbing as it is. We are constantly battling gangs in the North Caucasus. Now we might be facing an escalation in Central Asia. This is entirely possible following the US withdrawal from Afghanistan this summer. If the situation there becomes strongly destabilized, Russia will have to interfere since we are bound by the Collective Security Treaty. We have to monitor the situation constantly and be ready for a turn for the worst.